There is a very good chance that at one time life may have existed on the planet Mars, and there is also the possibility that life consisted of some form of an ancient alien civilization. If you accept the fact that a higher form of life existed, then maybe it’s not a stretch to think that this civilization would have worshiped the cat? 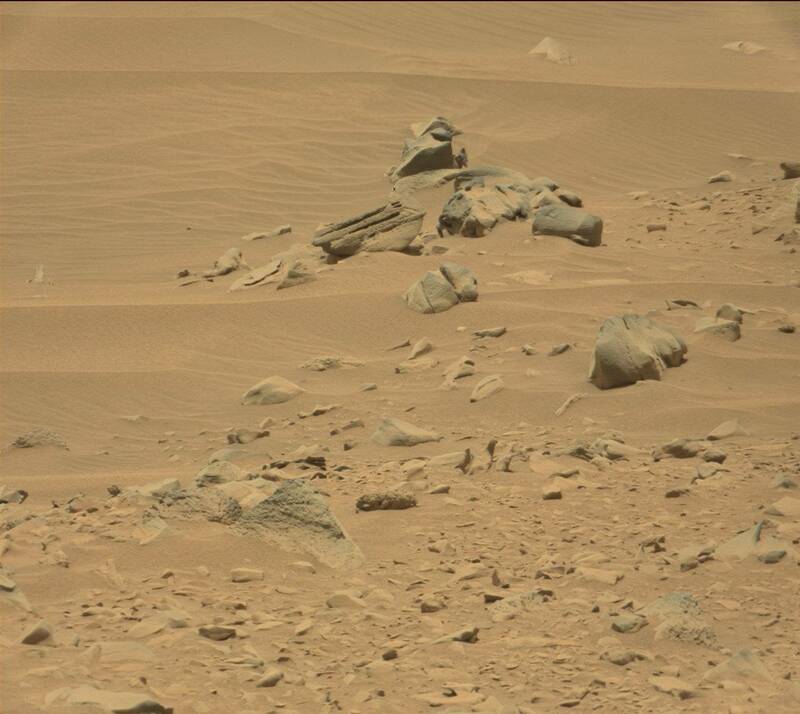 Recent pictures sent back by the Mars Curiosity Rover are having UFO enthusiasts and cat lovers asking if the images of Cat Statues are really that or a natural rock formation. The first photo you can see the structure in the distance, the second photo is the close up that outlines the details. Youtube user UFOvni2012 posted a video of the images and depending on how you see them, they are either a compelling case for the Cat Statue or just a cognitive phenomena called pareidolia. This reminds me of a real conversation I had with my friend last year about this very topic and after seeing this, maybe I want to believe. What do you think? Are people seeing what we want to see, or are these images of actual statues from some long-lost alien people who once worshiped the cat? This entry was posted in Feline Fun and tagged aliens, Ancient Aliens, ancient egypt, Cat Statue on Mars, Cats in space, Cats on Mars, Curiosity Rover, I want to Believe, Life on Mars, Mars, Mars Rover, UFO by Purr and Roar. Bookmark the permalink. Would love ti believe they worshipped cats!! How incredible would that be!! I wouldn’t count any possibility out there is so much we don’t know. The Egyptians did worship them to an extent as well so who knows. It’s kind of fun to think when you look into your cats eyes that they are hiding secrets & not telling lol.